Near the end of February, a high-profile group of lawyers and law professors filed a suit challenging the permissibility of the way Texas goes about administering presidential elections. In particular, the lawsuit alleges that the so-called Winner-Take-All (“WTA”) method of allocating electors runs afoul of federal law, at least in Texas and presumably in many other states too. The WTA approach—by which a state gives all of its Electoral College votes to the winning president/vice-president ticket (that is, the ticket that wins the largest number of popular votes at the November election), rather than splitting the electoral votes between the various tickets in proportion to the popular vote or along the lines of who won more votes in each of the congressional districts—is used in almost every state today. And plaintiffs argue that it violates the US Constitution and federal statutes (at least in some states, like Texas, where the lawsuit was filed). In the space below and also in a subsequent column, I examine the Winner-Take-All approach to allocating electors and the legal claims against it. this lawsuit is not a challenge to the Electoral College, which is mandated by the Constitution. Instead, it is a challenge to the decision of Texas [and, by extension, to the decision of many other states] to award and select Electors on a WTA basis. The Constitution does not [dictate] how states should select Electors, and it certainly doesn’t require WTA. To the contrary. . . WTA is inimical to the long-established principle of “one person, one vote,” and thereby violates the fundamental right to vote, as well as other constitutional and statutory rights. It may be technically true that the lawsuit is not a full frontal challenge to the Electoral College itself, but some parts of the complaint appear to attack the Electoral College even apart from the practice the WTA practice most states use to implement it. For example, the Complaint quotes Saul Anuzis, the former Chairman of the Michigan Republican Party as saying: “It’s a question of what is the right way to elect a president. In every other office in the land, we elect the person who gets the most votes, from dog catcher to governor.” And it quotes retired Senate Minority Leader for the proposition that the “Electoral College [is] very undemocratic.” These comments—with which I tend to agree, by the way—are not a criticism of WTA, but of the Electoral College itself; even if states abandoned WTA and moved to a proportional approach for allocating electors, the winner of the presidency could be someone who received fewer popular votes than his opponent, which would be “undemocratic” in the way Senator Reid mentioned. There are at least four reasons that even a proportional approach does not guarantee that the candidate garnering a majority of the popular vote will also win in the electoral college. First, the electoral college is skewed in favor of less populous states, because the number of electoral college votes given to a state depends on its number of representatives and senators. Less-populous states have disproportionate power because representation in the Senate is equal for all states (and also because several less-populated states have fewer persons than the size of the average House or Representatives district). Second, rounding errors exist both in the proportional allocation of electoral votes and in the apportionment of House of Representatives districts. Third, House district allocations are (as the Supreme Court recently held is permissible under the Constitution) based upon population numbers rather than numbers of eligible voters in a region. And fourth, voter participation rates vary considerably across states, enhancing the relative voices of those who do vote in states having low voter turnouts. Other aspects of the complaint critique WTA not just from a legal vantage point, but from a policy perspective as well. 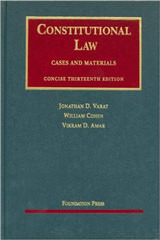 For example, the complaint explains how WTA distorts presidential campaigns (by inclining candidates to focus only on a few likely determinative battleground states) and, relatedly, facilitates more outside interference with presidential elections (because those trying to disrupt the national outcome need only focus on corrupting the process in those same few battleground states that determine the electoral college outcome.) 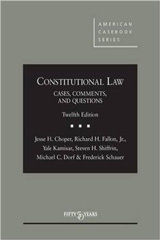 The complaint alleges that “[t]his increased vulnerability gives the [c]ourt added reason to ensure that the current system satisfies the requirements of the Constitution,” but compliance with the Constitution is something courts need ensure, regardless of the policy consequences of non-compliance; the discussion of the campaign distortion and outside interference vulnerability aspects of WTA are included—in keeping with part of the impetus for filing the lawsuit in the first place—to score political more than legal points. In Part II of this series, I will turn to the legal claims asserted in the complaint more directly, but in the balance of today’s column I explain in some detail why each of the fifty states—with an occasional, historical exception—has used WTA since states began regularly holding popular elections to select presidential electors. (In the 2016 election, only Maine and Nebraska allocated electors on other than a Winner-Take-All basis; Maryland and New York departed from the norm in 1828, as did New Jersey in 1860 and Michigan in 1892. And there may be a small number, but only a small number, of other deviations over the past hundred and fifty years.) Like many other state electoral mechanisms and decisions, the decision to use WTA can be largely explained using concepts that are systematically studied under the “law and economics” rubric. The “prisoners’ dilemma,” in particular, may be a useful paradigm for understanding state policies such as WTA. The Winner-Take-All approach to electoral college selection appears eminently reasonable if we take as a premise each state’s desire to maximize its own importance in the presidential election process. By providing each presidential candidate a large return (in the form of the state’s entire electoral college vote) for the candidate’s promises and platform planks targeted to the state’s electorate, the state increases the likelihood that all candidates will take the state seriously and address its needs and concerns. Assume, for example, that the swing (i.e., median) legislators in a state faithfully represent the swing voters in the state electorate. By embracing Winner-Take-All rules, state legislators maximize the clout of the state’s median voters in the presidential election. The dilemma, of course, is that such WTA rules make it much more likely that a presidential candidate could win a majority of the nation’s popular votes, yet lose in the Electoral College. This result would actually reduce the chance that the Chief Executive of the United States would represent the nation’s median voters. Even if virtually all voters in all states thought such an outcome undesirable—a true democratic nightmare—very few states might be willing to make a unilateral shift from Winner-Take-All to proportionality. To begin with, unilateral action by a single state might not reduce the probability of the nightmare materializing. More importantly, every state would have an incentive to encourage other states to shift to proportionality and yet retain Winner-Take-All itself, thus maximizing its clout. In equilibrium, each state would simply say to the others, “After you,” and no state would take the proportionality bait. Without an enforceable proportionality rule binding all states—be it a federal statute (if constitutional) or a federal constitutional amendment or ruling—each state has a strong incentive to defect from the optimal collective arrangement by embracing Winner-Take-All. As an aside, I note that the prisoners’ dilemma also helps to at least partially explain the hesitancy with which many states have moved in enacting term-limitation legislation with respect to federal legislators. Although term-limitation laws have been proposed and considered in many states, relatively few have been enacted (and the movement really stalled when the Supreme Court made clear (in U.S. Term Limits, Inc. v. Thornton) in 1995 that state statutes alone were insufficient to impose federal term limits. One reason the movement had trouble getting off the ground is that a state limiting the terms of its federal officials will be disadvantaged in the competition for federal pork barrel as against other states unbound by similar limitations. Federal legislators from states with term limitations will, on average, have less experience and seniority and, presumably, less clout in obtaining local benefits in the form of grants, contracts, public works, and so on. Even if a strong majority in each state (and, thus, the nation as a whole) agreed that term limitation is a good idea, we could expect each state to reject term limitations. Indeed, the dilemma is even sharper: voters in any given state might rationally prefer challengers to an incumbent year after year, but nevertheless vote for the incumbent simply to gain, rather than lose, competitive seniority and local pork. There is an obvious constitutional irony in the fact that congressional term limitations, if desired, are likely to be (and, in light of Thornton, must be) adopted only via a federal constitutional amendment binding all states. 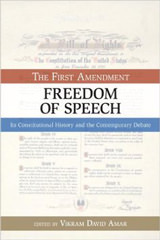 At present, the Constitution provides for term limitations only in the Twenty-Second (“Two Term”) Amendment, which applies only to the presidency. 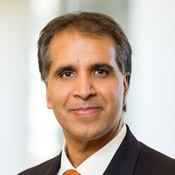 Yet the presidential context does not present a prisoners’ dilemma problem comparable to that found in the congressional context; an individual state, if it so desires, could choose to cultivate a reputation for being anti-incumbent—or at least not anti-challenger—in presidential contests without necessarily and substantially diminishing its slice of the federal pork pie. Indeed, to shift metaphors, a slightly squeaky state with anti-incumbent leanings might get more grease from an incumbent, first-term president. Thus, from the perspective of the prisoners’ dilemma model, the Constitution seems to have gotten things backward: constitutional term limitations might make more sense for members of Congress than for the president. In light of the incentives described above, even if a court were to rule that one state’s use of WTA for selecting presidential electors was legally flawed, other states would likely continue to use WTA until told by a court that they couldn’t. As we will see in Part II of this series, in which I examine the legal claims made in the recently filed complaint in more depth, this incentive problem complicates any Texas-specific ruling that the plaintiffs or a court may have in mind.